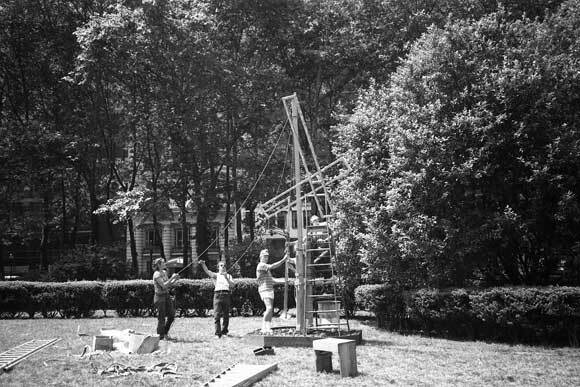 In this post, BPC's archivist, Anne Kumer, shares some history on public art pieces in the park. This is the second of several posts devoted to the subject. It also appears on NYC Circa, a history blog about New York City and its public spaces. 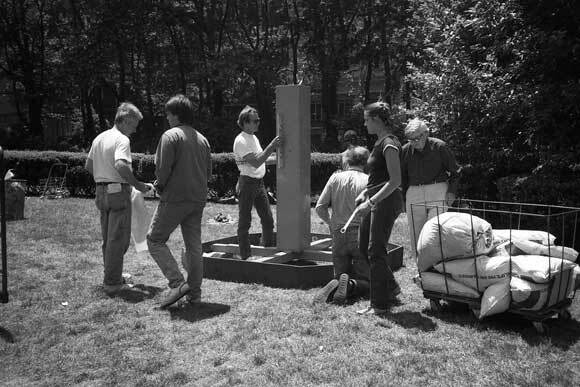 In 1986, kinetic sculptor George Rickey installed six kinetic sculptures in Bryant Park. The exhibit was part of the Artists-in-Residence program sponsored by the Public Art Fund, Bryant Park Corporation (then, Bryant Park Restoration Corporation), and the NYC Department of Parks and Recreation. Like other artists-in-residence, Rickey was present for the installation, worked during daytime hours, and had helpers. The installation began on June 25, 1986. Placed in different parts of the park, all six sculptures were on view until October 17, 1986. ﻿﻿﻿ At the time, Rickey had two concurrent exhibitions at the Maxwell Davidson Gallery, and the Zabriskie Gallery. To see more of Rickey's work, check out his video of an installation at the McNay Art Museum in San Antonio,Texas from 2008. 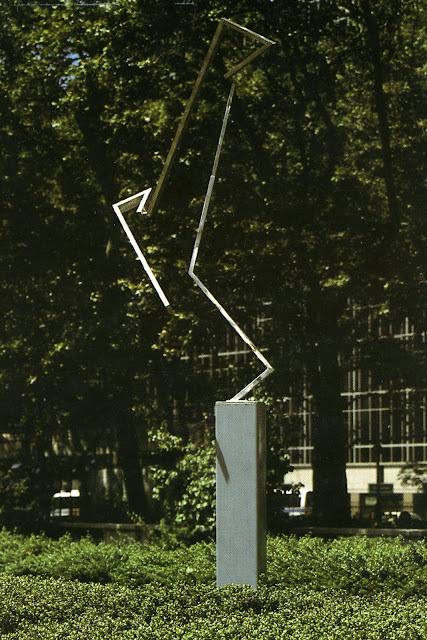 Public art projects in Bryant Park also include this 1981 exhibit by Mel Chin.